Tyre sizes 155/70 R13 75T Nokian iLine from 325.09kr. 155/80 R13 79T Nokian iLine from 340.49kr. 155/65 R14 75T Nokian iLine from 368.68kr. 165/70 R13 79T Nokian iLine from 344.31kr. 165/65 R14 79T Nokian iLine from 353.84kr. 165/70 R14 81T Nokian iLine from 374.93kr. 175/70 R13 82T Nokian iLine from 350.01kr. 175/65 R14 82T Nokian iLine from 353.84kr. 175/70 R14 84T Nokian iLine from 438.20kr. 175/65 R15 84T Nokian iLine from 430.93kr. 185/60 R14 82H Nokian iLine from 381.09kr. 185/60 R14 82T Nokian iLine from 381.09kr. 185/65 R14 86T Nokian iLine from 400.31kr. 185/70 R14 88T Nokian iLine from 475.63kr. 185/60 R15 84H Nokian iLine from 490.84kr. 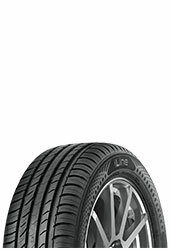 185/65 R15 88H Nokian iLine from 466.95kr. 185/65 R15 88T Nokian iLine from 406.38kr. 195/50 R15 82H Nokian iLine from 405.26kr. 195/60 R15 88H Nokian iLine from 466.95kr. 195/65 R15 91H Nokian iLine from 396.68kr. 195/65 R15 91T Nokian iLine from 398.64kr. 205/65 R15 94H Nokian iLine from 584.64kr. 205/55 R16 91H Nokian iLine from 472.18kr. 215/65 R15 96H Nokian iLine from 545.35kr. Especially for drivers who desire an enjoyable driving feel as well as uncompromising safety for any weather. This lightly rolling tyre offers green and economical driving comfort. Starting on November 1st, 2012 the new European Tyre Labelling Regulation EU/1222/2009, short EU Tyre Label, applies. 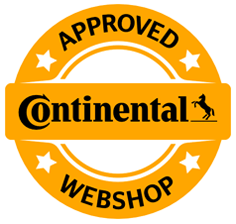 This regulation applies for all newly produced tyres from CW27/2012. The EU Tyre Label informs about the criteria fuel efficiency, wet grip and external rolling noise, and is binding for all tyres of cars, light trucks, and trucks (C1, C2 and C3) across the EU member states. The aim of the EU Tyre Label is to increase the safety, environmental protection and economic efficiency of road transport by promoting fuel-efficient and safe tyres with low noise levels. Next to the EU Tyre Label you should continue to include relevant tyre tests as an important factor in your buying decision, as the new EU Tyre Label only tests three important criteria. This means that for instance neither the driveability of summer tyres on a dry road nor the grip on snow of winter tyres is tested. The categorisation of fuel efficiency is made on a scale of seven classes: from A (greatest efficiency) to G (lowest efficiency), whereby class D is not used. An improvement from one class to the next more efficient class means an approximant saving of 0,1 l fuel per 100 km. The wet grip is subdivided into the classes A (shortest breaking distance) to G (longest breaking distance), whereby classes D and G are not used. When going 80km/h on a wet road, the difference in the breaking distance between adjacent categories (from one class to the following better class) is between 1 and 2 car lengths (3-6m). The noise emission of a tyre has an effect on the total noise level of the vehicle and does not only influence one’s own riding comfort, but also the noise pollution of the environment. In the EU Tyre Label the external rolling noise is divided into three categories, measured in decibel (dB) and compared with the European noise emission limits for external rolling noises of tyres. The general rule hereby is: The fewer black lines there are, the lower the external rolling noise as measured according to the EU limit.